In an email to Operation-Nation this week, Stan Rosenblatt said he requested a copy of the police report from when Tempe cop Whitney Jurjevich shot and killed his dog, Bruce, on January 16; and was denied. 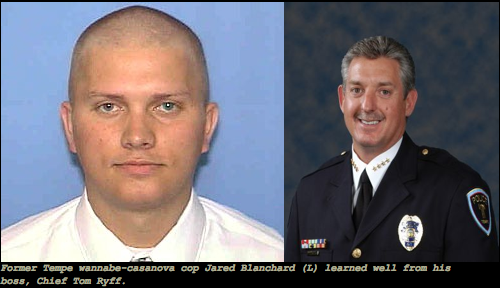 Jurjevich was not charged by Montgomery County (PA) authorities and not punished by Tempe Police. This entry was posted in Tempe and Maricopa County Arizona News and tagged Stan Rosenblatt, Tempe Police, Whitney Jurjevich on February 15, 2009 by admin. MONTGOMERY COUNTY, PA — Friday the 13th turned out to be a lucky day for Tempe cop Whitney Jurjevich. Authorities in Montgomery County, PA have decided not to press charges against Jurjevich, the Tempe Police Officer who shot and killed Stan Rosenblatt’s dog, Bruce, while visiting his father January 16. 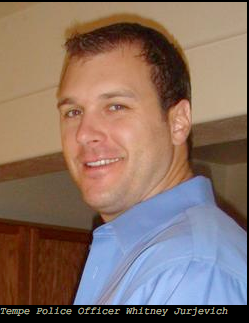 This entry was posted in Tempe and Maricopa County Arizona News and tagged Tempe Police, Tom Ryff, Whitney Jurjevich on February 13, 2009 by Brian Wilkins. UPPER GWYNEDD TOWNSHIP, PA — Tempe Police Officer Whitney Jurjevich may be off the hook after traveling to Pennsylvania, and shooting and killing a family’s dog. This entry was posted in Tempe and Maricopa County Arizona News and tagged Stan Rosenblatt, Tempe Police, Whitney Jurjevich on February 13, 2009 by admin. 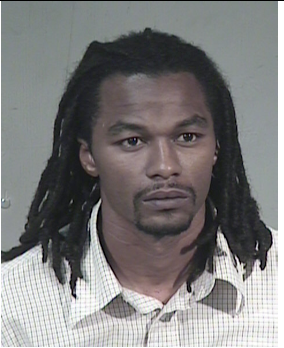 Kyran Jones, 28, was sentenced to seven years in prison by a Maricopa County Superior Court judge on October 24, 2008 for “assaulting” Tempe Police Sgt. Mike Horn. 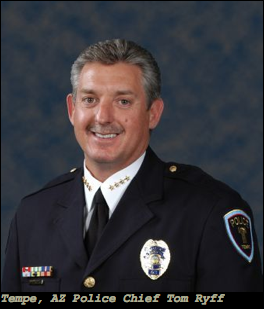 Horn was the Tempe Police public information officer when the original employment application of Tempe Police Chief Tom Ryff mysteriously disappeared after being requested by the East Valley Tribune. This entry was posted in Tempe and Maricopa County Arizona News and tagged Arizona State, ASU, Kyran Jones, Tempe Police, Tom Ryff on February 8, 2009 by admin. 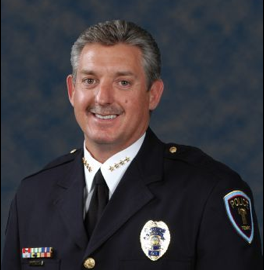 This entry was posted in Tempe and Maricopa County Arizona News and tagged Mike Wallace, Tempe Police, Tom Ryff on January 28, 2009 by admin.